I’ve just added another book review to the resources section of this website. My Dad read about Verner Wheelock in the paper and called me in excitement to tell me. I read the article, had a conversation with Verner about his great nutrition work and have just read his book. I highly recommend you read it too if you want to be healthy but suspect the official guidance we’re given is hampering your efforts. In this excellent examination of evidence, Verner looks at heart disease, diabetes, cancer, Alzheimer’s and the role that cholesterol, sugar and fat play – or don’t play – in each of these. What he finds is very different to the messages we constantly hear. He concludes that governments around the world, including ours, have failed to devise policies in the best interests of the population, instead acquiescing to pressures from the food and pharmaceutical industries. He thinks that policy is unlikely to change quickly, in spite of the pressure from a group of doctors and nutritionists that has been campaigning for evidence based healthy eating guidelines. Since those at the top have left us high and dry, Verner is taking a grass-roots approach and runs a local group of people that has turned their back on the official guidelines and now enjoy good health and the remission of diabetes. He ends the book by encouraging us to change the eating habits of the nation from the bottom up, one healthy person at a time. To become part of this movement, you could join the charity the Public Health Collaboration or simply ignore those in power and Learn to Eat Well. He who takes medicine and neglects diet wastes the skill of his doctors. You can’t drug people into being healthy! Together with Sir Richard Thompson (the Queen’s doctor from 1984-2005), Aseem spoke in the European Parliament on over medication of the British people and how ineffective much of it is. The bulk of ill health is lifestyle caused and therefore diet can have a strong beneficial effect especially with diseases of insulin resistance like diabetes, heart disease and obesity. The very inconvenient truth that nobody wants to talk about is that to resolve the obesity crisis, we need to eat less food. And we need to particularly eat less unhealthy food which generally comes in a packet and has a logo on it and is generally owned by a very large multinational corporation. In a dramatic change of direction, ex-advertising executive (promoting the likes of Coca Cola and McDonalds), Dan is a founder and Chief Executive of Living Loud which aims to help people live longer, healthier and happier lives by overcoming, preventing and managing lifestyle illness. Here’s a piece he wrote comparing the food industry to tobacco and a great article about snacking. It’s World Obesity Day today. If diets worked there would be really one diet, everybody would go on it, lose weight and that would be the end of it. But 95% of diets don’t work (other than short-term). So what’s the answer? Don’t diet, learn to eat well. Real, fresh food is the solution. Obesity poses such a threat to the country that it should be treated as a “national risk” alongside terrorism. and in my view has fuelled the obesity epidemic. It’s time we stopped counting calories and ate real food. Did you know that French kids don’t get fat? They have the lowest levels of childhood obesity in the developed world and it’s the only place where it isn’t rising. Children aren’t educated about nutrition and taught to be anxious about food, they are taught the joy of food and learn to love it. At home, the family eats together so children develop a taste for real food, not fake ‘children’s food’. Kids don’t snack randomly but learn to wait. Parents don’t use food as bribes or rewards for good behaviour – it’s for pleasure and nourishment. The French rarely buy ready meals or takeaways. Instead, they spend more than we do on real food, revelling in copious amounts of butter, cheese and cream. 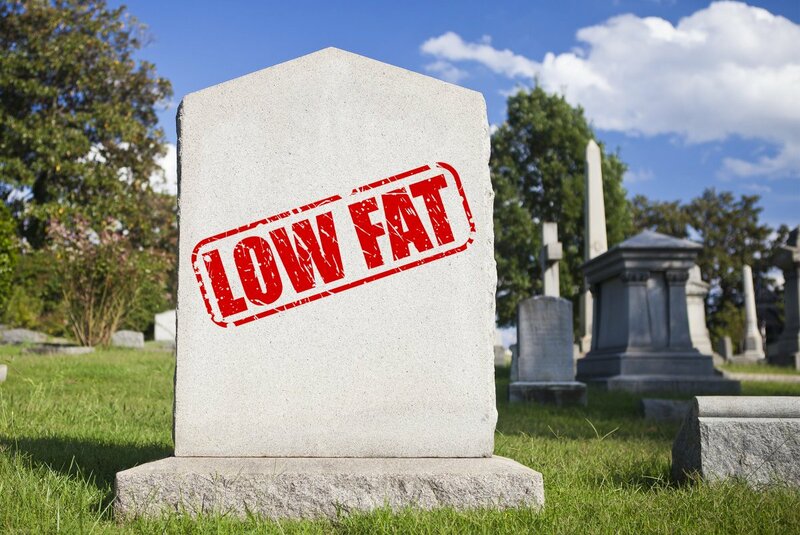 They consistently have the highest levels of saturated fat intake in Europe and the lowest levels of heart disease. It’s termed the French Paradox; how do they get away with it? But actually there is no paradox. Research, including a review last year by Cambridge University of 72 studies, reveals an “absolute lack of evidence that consuming saturated fat leads to heart disease“. Yet the old school dietitians still cling to the notion and only last month, Nigella Lawson was vilified in the paper for using coconut oil in her new cookery book. But the French aren’t doing something mysterious to cheat the death that their diet deserves; their diet does them good. They look at the British eating processed sugar and oil and think we’re mad. The French government helps too, with tough policies designed to prevent commercial interests damaging the health of its children. Tax on fizzy drinks (Jamie Oliver is campaigning to introduce the same here), health warnings on TV ads for snack foods, incentives for fruit and vegetable producers, no hormone treatment of animals, no vending machines in schools, water only to drink with the children’s 4-course, freshly-prepared school lunches for which they have a 2 hour break! Sounds good to me. Top tip: Like the French, learn to love real food.